So we are on the cusp of a new season and already the Vols are met with a bevy of differing expectations for the season. Last season the Vols were largely picked to win the SEC East and fell short thanks to losses to South Carolina and Vanderbilt. 2017 predictions have run the gambit from possibly a worse season than 9-4 to SEC East champs, and even SEC Champions. Which goes to show you that really no one knows with any certainty how 2017 will turn out. Tennessee’s schedule is enough to make you run for the Pepto early with a 13 day, 3 game matchup starting off with Georgia Tech in Atlanta and finishing with Florida in the swamp. With the return of LSU to our schedule and away games with Alabama and an improving Kentucky, the schedule could be argued as one of the toughest to face Coach Butch Jones. For reasons that escape me, Vol fans were not largely satisfied with our 9-4 season. Obviously losses to South Carolina and Vanderbilt didn’t help matters but a 9-4 season is nothing to be ashamed of. Vol fans need a reality check! There is only one Nick Saban in college football who has set the unacceptable bar higher in the “win now” column. Dabo Swinney, for example, has been head coach at Clemson since mid 2008 in the lack luster ACC conference and how many championships has he won during his tenure? 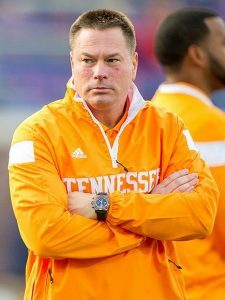 Butch Jones is entering in to his 5th season as Tennessee’s head coach in a conference that has been the toughest in the country for decades. In his 5 years he has consistently turned recruiting around with top classes and great JUCO transfers that show Tennessee is nothing short on talent. With my personal favorite move of Mike DeBord’s departure as offensive coordinator, Butch has moved Larry Scott into the position and has brought in Brady Hoke as Defensive Line Coordinator along with Bob Shoop as DC, there should be little doubt that Tennessee should be more of a threat this year on both sides of the ball. Suspicions of a dual-quarterback system will soon subside as I see Quinten Dormady being the one to lead the Vols offense this year. One thing that HAS to improve this year is the offensive line. Josh Dobbs had a maximum time of 1 second to make his reads and throw. Not a lot of time even for the best quarterbacks in the NFL. Considering we touted a 5-7 record and a bottom ranking in the SEC, Butch Jones has certainly made large strides in improving the Vols program. We are now starting on the heals of a 9-4 season where we saw wins against 2 of the “The Big 3” required for any Vol coach. Snapping a decade losing streak to Florida and snatching victory at the last second from Georgia between the hedges made for a great section of the 2016 season. Is Tennessee going to win the SEC this year? I’d have to say its doubtful but not impossible. I’m certainly not going into the season with the expectation that they will. Another 9-4 season, while not thrilling, won’t cause me to push the panic button and call for Butch’s head. 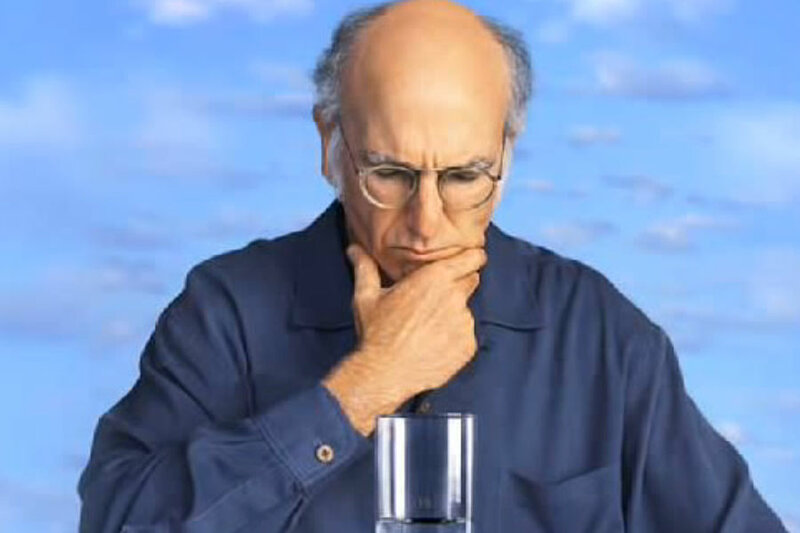 If we lose to South Carolina, Kentucky, and Vanderbilt or any one of the 3 would probably cause me to take a couple extra blood pressure pills and not give me much leverage arguing to keep him but I also would not want to set the program back by hiring another coach unless it was a “slam dunk” hire, which aren’t out there. Hopefully improvements are going to be made and 2017 will be a more successful season. One can only hope that are direction is right. As a fan base, patience is not our virtue but may be required to get through this season.